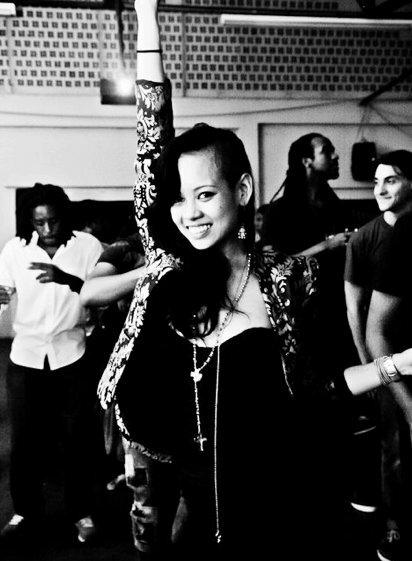 Anya Ayoung-Chee is the of Project Runway Season 9 WINNER & FAN FAVORITE! 'Though I am not a fan of Twitter, yesterday, I thoroughly enjoyed spending the day tweeting #PR9ANYA with so many of you, so that Anya could also win the Project Runway Fan Favorite. So CONGRATS Trinis ... real' happy for you guys! Team Anya tees are still available at Meiling's studio and at The Tallman Foundation, Trinidad & Tobago.